Although inspired by the popular Sleeping Beauty tale, the heroine in Elizabeth Blackwell’s While Beauty Slept is not Princess Rose but Elise, her guardian. Though she may, in fact, have royal blood, the extravagant life of ladies of the court is only attained by Elise after an arduous existence as a peasant. Food for Elise in her former life has been scarce, therefore, mealtimes for staff of the castle in which she obtains a position as Queen Lenore’s personal assistant are to the young maid as awe-inspiring as the tapestries that hang in the great hall, or the luxurious fabrics that adorn the queen’s bedchamber. The bounty she enjoys within the fortress walls, the sights and smells I imagined as she walks through an enormous kitchen on her first visit to the castle in Elizabeth Blackwell’s retelling are what prompted me to think of medieval dishes as I continued to read. Whole animals on giant serving platters is what I first think of when I imagine a palace feast. Henry VIII chowing down on an enormous turkey leg. I decided to delve deeper into what rich meals would have entailed in earlier times. In my research, I learned that organ meats were just as prized during the Middle Ages as the muscle of animals, and that poultry was indeed plentiful. 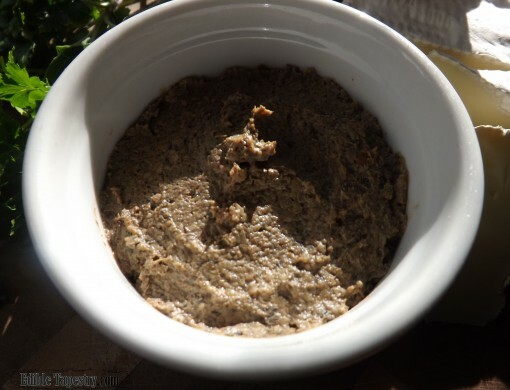 It was this realization that inspired me to whip up a batch of pâté. 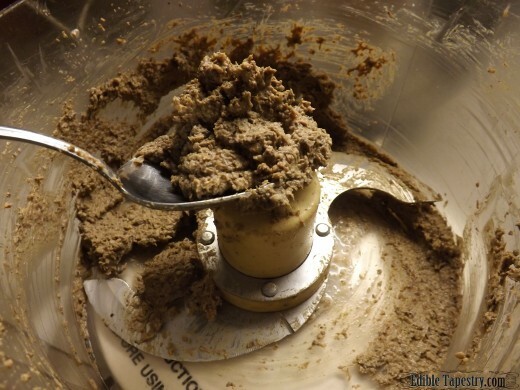 It’s very easy to do in the food processor, and takes only a matter of minutes to accomplish. 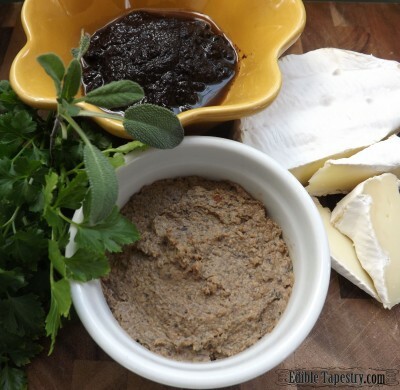 And if it’s served on a trencher with warmed brie and a dish of olive tapenade, with hearty crackers or fresh crusty bread slices, dinner guests can can have a delicious assortment of spreads to choose from in true courtly banquet fashion. 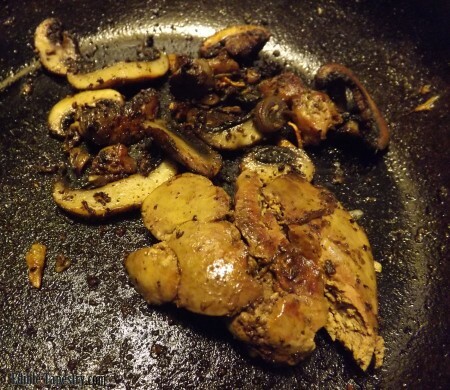 Sauté the garlic in the butter until translucent, then add the mushrooms and liver. 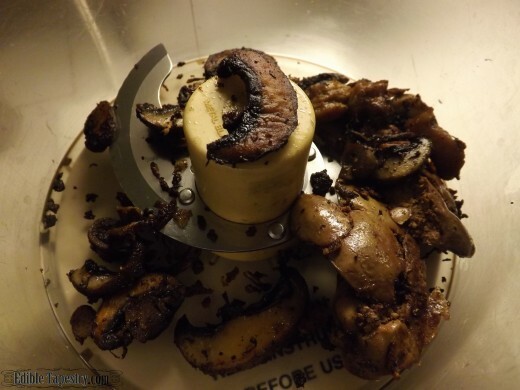 Continue cooking until they caramelized and the liver is thoroughly cooked. Scoop them into the bowl of a food processor and puree. 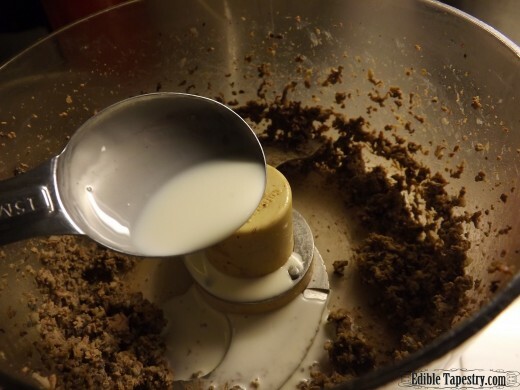 Add a little of the cream at a time until the mixture churns to silky smooth. 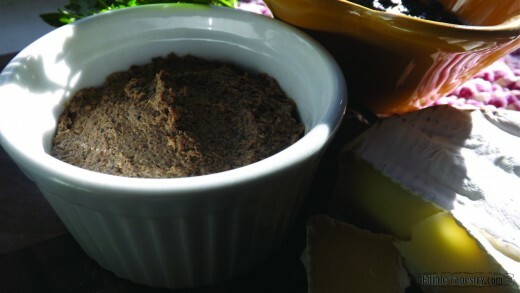 Spread into a ramekin or decorative serving dish and chill. Note: Organs should be obtained from hormone and antibiotic free animals. These meats filter toxins from body, which means that higher concentrations of them may exist within the tissues of the organs of treated animals. Previous Story Previous post: Excuse me, is that local?